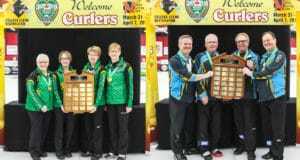 When the weekend was over, however, it was clear that Howard had settled in at the helm of the foursome out of Penetanguishene, Ont., and that he and the team were firing on all cylinders, winning their second event in three weeks… albeit with two different skips. Howard, with son Scott, David Mathers and Tim March, ran through the event without a loss, and defeated Sudbury, Ont.’s, Tanner Horgan in the final, 6-3. 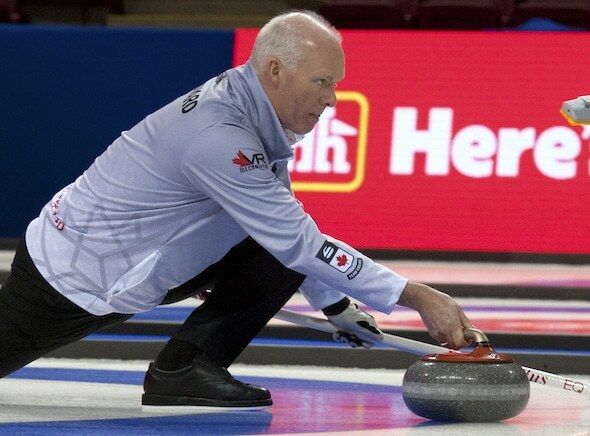 Glenn, who had missed the team’s previous event in Halifax due to coaching commitments, reclaimed the skipping duties after Scott was able to lead the team to victory in Glenn’s absence. The win for Team Howard was a big one, not only for the $5,000 cash, but for the 30.464 points on the Canadian Team Ranking System, and World Curling Tour Order of Merit. The boost in points moved Team Howard into second place for Ontario teams, which puts the team in line for a berth at the provincial championship. Prior to the weekend, the spot belonged to Kingston, Ont.’s Scott McDonald. With neither Howard nor McDonald playing in this weekend’s Home Hardware Canada Cup of Curling in Estevan, Sask., or the World Cup of Curling event in Omaha, Neb., and with a lack of local events to play, it seems like the ranking will stay that way until the Dec. 9 deadline. Runner-up Horgan earned $3,000 and 22.341 points for his finish in the event. 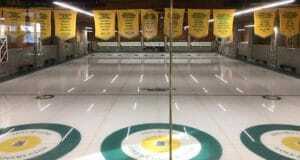 Elsewhere, hometown favourite Braden Calvert won his third event of the season, taking home the title at the Thistle Integrity Stakes at Winnipeg’s Thistle Curling Club. He won $1,300 and earned 21.962 points for his win over fellow Winnipegger Tanner Lott. 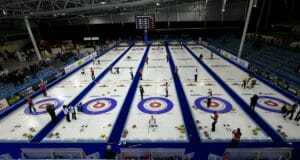 In Eveleth, Minn., two Canadian teams reached the women’s final of the Curl Mesabi Classic, where Krista McCarville (Thunder Bay, Ont.) defeated Laurie St-Georges (Laval, Que.). McCarville took home $5,300 CDN and 29.228 points, while St-Georges took home more than $3,900 and 21.343 points. Winnipeg’s Ty Dilello reached the men’s semifinal but was defeated by Minnesota’s Mark Fenner, who went on to lose the final to fellow American Rich Ruohonen. Ruohonen’s win was worth more than $6,600 CDN and 26.769 points.